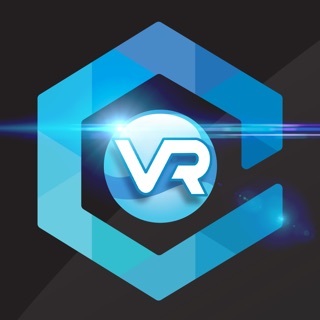 Virtual Immersive Educational Worlds, Inc. 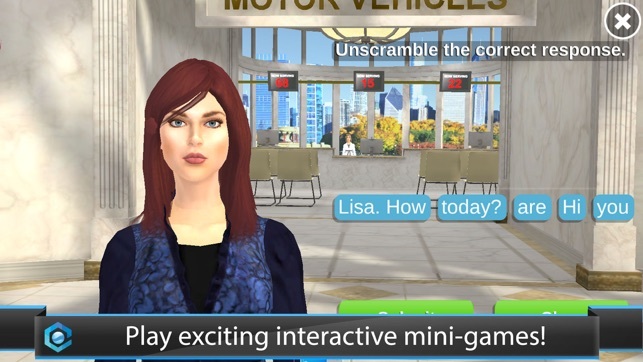 Enjoy sparkling, realistic 3D game environments on your phone or tablet! 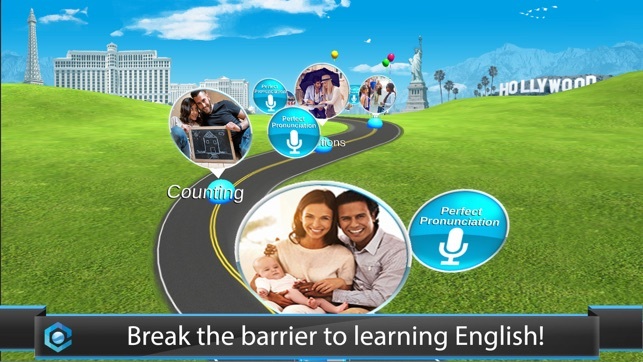 FluentWorlds makes learning English fun and convenient. You’ll love how easy it is to not only learn English, but remember what you’ve learned. Our goal is to help you ‘live your language’. You will explore 3D game environments with your character and embark on adventures in New York’s Central Park, international airports and virtual 3D Las Vegas! You will learn English ‘on location’…you’ll feel like you’re really there! It transcends the 2D, text-based approach of Rosetta Stone, Busuu, Babbel and Duolingo. It’s magical! Tim Doner - HyperPolyglot and 2nd year Harvard student; speaks 22 languages: Wow! Been playing the FluentWorlds app for weeks and it looks incredible. The little touches all add up to a truly thrilling product. 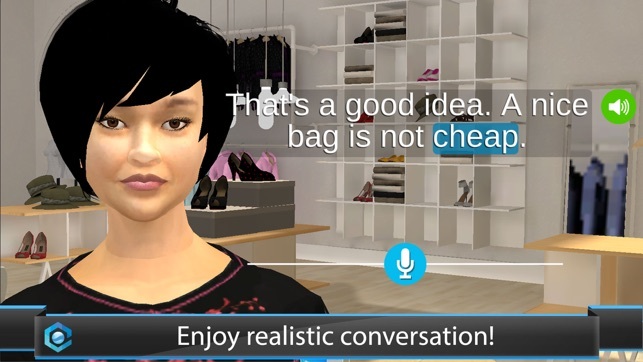 So excited to see the future of language learning brought to you by FluentWorlds." Sanja Josimov Hatter: This is INCREDIBLE!!!! This app is beautifully done. Out with the old way of learning English and in with FluentWorlds! I love learning things in fun ways and this app wins!!! Learning English is always easiest when you are IMMERSED in an environment. This game is also fun as you develop social language skills and share your progress with friends. FluentWorlds offers 3D immersion, engagement and contextual learning, all of which are important to effective learning. Unlike Duolingo, we teach you how to think in English which is key to fluency. Find out what all of the excitement is about…download FluentWorlds today! If you choose to purchase the FluentWorlds premium subscription, payment will be charged to your iTunes account, and your account will be charged for renewal within 24-hours prior to the end of the current period. Auto-renewal may be turned off at any time by going to your settings in the iTunes Store after purchase. The current FluentWorlds premium subscription price starts at $3.99 USD/month. Prices are in U.S. dollars, may vary in countries other than the U.S. and are subject to change without notice. No cancellation of the current subscription is allowed during the active subscription period. If you don’t choose to purchase the FluentWorlds premium subscription, you can simply continue using FluentWorlds for free. 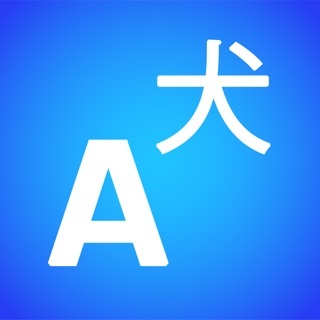 I think this is the best language-learning app I’ve come across! 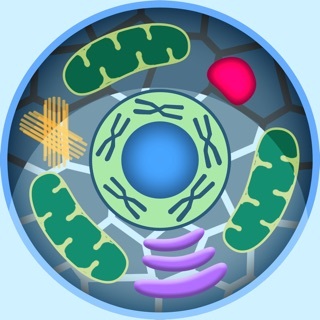 My native language is English, but I downloaded FluentWorlds anyways because I was intrigued by the unique method of learning. I just wish there were apps like this but for different languages. Thank you for this review and for the five star rating! We are so excited about FluentWorlds and are happy to find people who share our excitement about using video game technology to learn! This is so interesting and engaging, I found myself captivated with each lesson. I have never experienced anything so technically advanced as this new platform. Requires iOS 8.0 or later. Compatible with iPhone, iPad Wi-Fi (3rd generation), iPad Wi‑Fi + Cellular (3rd generation), iPad Wi-Fi (4th generation), iPad Wi-Fi + Cellular (4th generation), iPad mini Wi-Fi, iPad mini Wi-Fi + Cellular, iPad Air, iPad Air Wi-Fi + Cellular, iPad mini 2, iPad mini 2 Wi-Fi + Cellular, iPad Air 2, iPad Air 2 Wi-Fi + Cellular, iPad mini 3, iPad mini 3 Wi-Fi + Cellular, iPad mini 4, iPad mini 4 Wi-Fi + Cellular, 12.9-inch iPad Pro, 12.9-inch iPad Pro Wi-Fi + Cellular, 9.7-inch iPad Pro, 9.7-inch iPad Pro Wi-Fi + Cellular, iPad (5th generation), iPad Wi-Fi + Cellular (5th generation), 12.9-inch iPad Pro (2nd generation), 12.9-inch iPad Pro Wi‑Fi + Cellular (2nd generation), 10.5-inch iPad Pro, 10.5-inch iPad Pro Wi‑Fi + Cellular, iPad (6th generation), iPad Wi-Fi + Cellular (6th generation), iPad Pro (11-inch), iPad Pro (11-inch) Wi-Fi + Cellular, iPad Pro (12.9-inch) (3rd generation), iPad Pro (12.9-inch) (3rd generation) Wi-Fi + Cellular, iPad mini (5th generation), iPad mini (5th generation) Wi-Fi + Cellular, iPad Air (3rd generation), iPad Air (3rd generation) Wi-Fi + Cellular, and iPod touch. 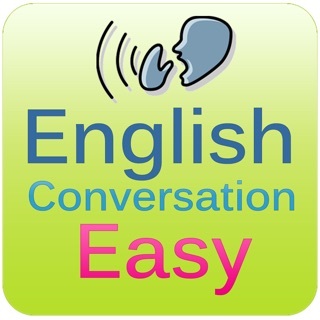 © 2015 Virtual Immersive Educational Worlds, Inc.
English conversation for kids and beginners : vocabulary lessons and audio phrases - Enhance the skills of listening, speaking, reading and writing English.